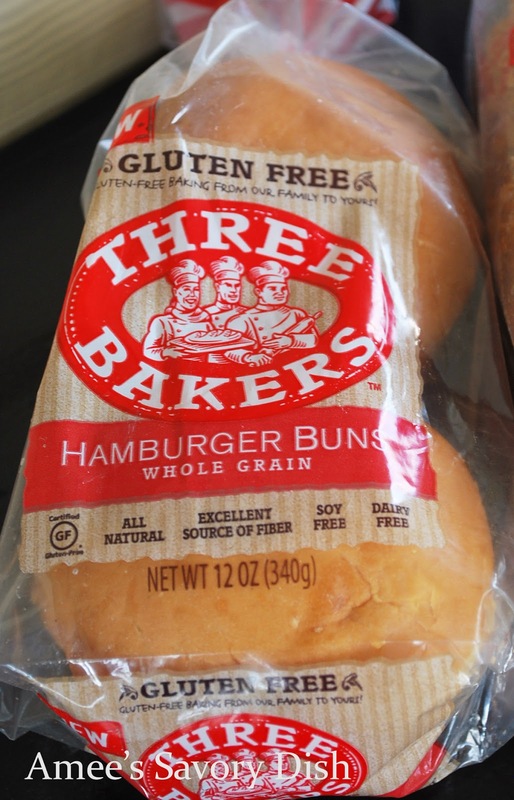 Three Bakers is a family owned company, started by a baker who makes it his mission to create delicious, gluten-free breads, buns, and pizza crusts. *Three Bakers provided me with these products to review. All opinions are my own and not influenced in any way. The baker’s wife has Celiac Disease, so he originally created gluten-free products for her to enjoy. His first attempt at making gluten-free pizza crust was a failure, but that didn’t stop him from continuing his efforts. Once he created recipes that they really enjoyed, he began selling them at their family-owned bakery. Unable to keep up with the local demand, they decided to expand, and Three Bakers was born. The three bakers are Dan (the baker), Jane (his wife and business partner) and Jane’s father (who originally started the bakery). These wheat-free products really are incredibly delicious. Those of you that sample gluten-free products know that they are not created equal! Dan has been able to create better tasting gluten-free breads, with a pleasing texture that’s not too chewy or dense. It’s still not the same as eating bread that’s light and airy (from the yeast and the gluten), but it’s really, really good. I’m kind of sad that I’m out of bread, because my local grocery stores don’t carry the Three Baker’s line of gluten-free breads. I’ll be changing that soon! Of the gluten-free breads that I sampled, my favorite is the 7 Ancient Grains Bread. I love it in the morning, toasted, with grassfed butter and all-fruit preserves. We also had the Three Bakers burger buns and they were good. They are more dense than regular buns, but great toasted or grilled. Last, but not least, we had the gluten-free pizza crust. The directions call for you to place it on a pan to bake and I did that for the first half of the cooking time, but I moved them directly to the oven rack for the last half of the baking time, to get them a little crispy. Otherwise, I think they would have been too soft. The flavor and texture of the pizza dough is really good! My husband loves it, so I’ll be purchasing these again. I forgot to get a photo, but our toppings were olive oil, marinara sauce, buffalo mozzarella, arugula, proscuitto and fresh cracked pepper. Three Bakers helped us create a delicious pizza with their gluten-free breads! To find the Three Bakers products in your area, check out their product locator. The Ancient Grains bread looks really good! Thanks for the intro to this brand. It’s the best I’ve tried!